Everyday when you watch the news, the media, some news sources and others are doing their best too demonize a seventeen year old young man. It seems or appears that a black mans life doesn't mean very much these days. All the news media, the police officers and others sources, seem hell bent on proving the innocents of a neighbor hood watchman, instead of proving his guilt. This neighborhood watchman shouldn't have been perusing the young man(Even though he looked suspicious) or carrying gun in the first place. What gives this person the right to hunt down and kill an innocent teen? And why doesn't the media and others care about the lose of a life, especially a young mans life? 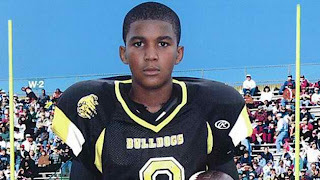 Why isn't anyone besides his parents, friends and a few witnesses defending the rights of a young black teenager? Even the writer and author of the bill said, "That his bill wasn't designed too be carried out that way". Normally I wouldn't let my emotions get the best of me when I write, but I do happen to have a personal stake when it comes to this issue. I happen to have a seventeen year old son of my own and I don't want to know how it would feel to out live him. 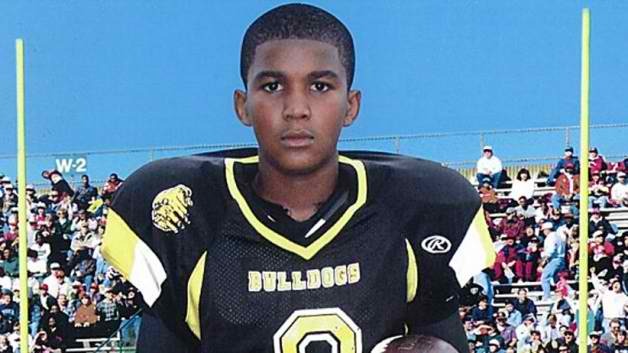 I know just like little Trayvon Martin , that it could have easily been my son. Why you may ask? Well because just like Trayvon, my son Marcus likes too wear hoodie , he loves candy and enjoys walking to the neighborhood grocery store. I bought him one at the local Old Navy store for Christmas and when he opened his present, his eyes lit up like a Christmas tree. My son is no different from him or any other kid Trayvon's age, but I would hate to imagine what his parents are going through. It makes me wonder where is the outrage? Why aren't more people speaking out , besides people from his own race and a few white people? Where are the suppose to be leaders? I guess, Newt Gingrich or Mitt Romney, don't care about the rights of a young African male? Am I outrage? Yes I am! Why? Because here we are 2012 and blacks are still being hunted down like wild prey. Question,"When are we as Americans going to start caring for the rights or life of humans? If that neighborhood watchman hunted down a dog that way, he would be in jail tomorrow. Funny, you may say, but I feel outrage! What about you? Write in and give your thoughts or opinions on the subject.